Former Chief Executive Officer of Native Health, located in Phoenix, Arizona was instrumental in arranging the community Talking Circles in 2004 that led to the first Urban American Indian Disability & Vocational Rehabilitation Summit the following year and continues successfully each year since, now known as the American Indian Disability Summit. Mr. Harrison was a leader in the community and strongly advocated for those who needed a voice. The Marcus Harrison, Jr., Leadership Award was established to acknowledge others working to keep that voice of advocacy for American Indians with disabilities alive through his/her leadership and dedication. “The inspiration behind the painting of "A Warrior’s Vision" comes directly from Marcus Harrison himself. He wanted to do as much as he could to make a better road toward connecting health concerns of American Indian people with education and availability of health services. As the artist of this oil painting, I made every effort to capture the visions, ideas, spirit and plans that Marcus Harrison shared with me. The painting is of a traditional dancer; the dancer is represented as a spirit painted in black and white. His top feathers are a sign of his bravery and his eagle feather visor is to help his vision stay sharp as the eagle’s eyes to see danger, adversity and the enemy. 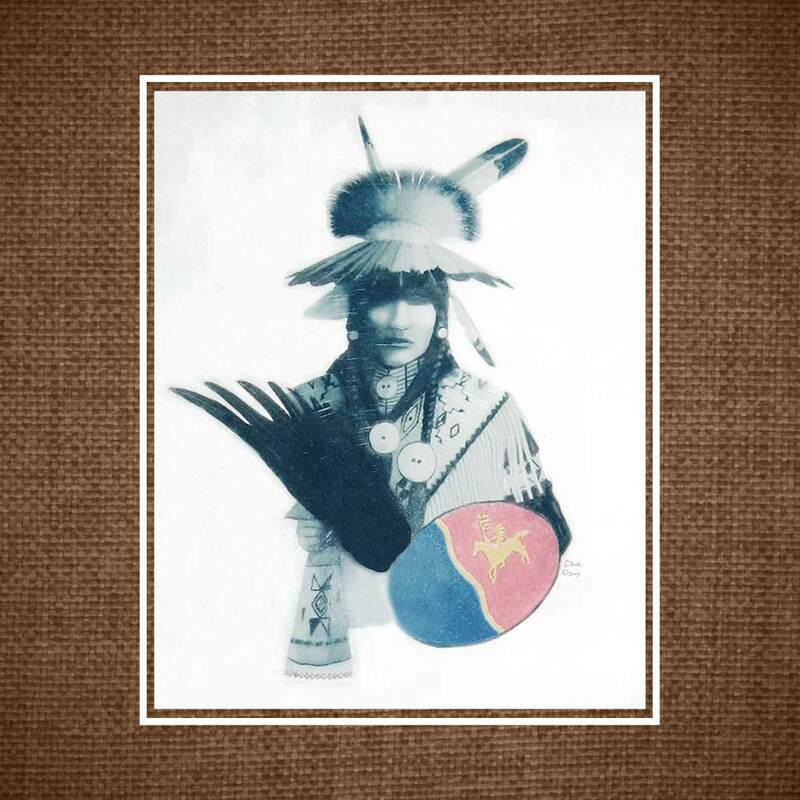 The eagle plume he wears is to honor his grandmother, his mother, his female relatives, and all American Indian women. The main part of the picture is his shield, which is the only part of the picture that has color. The emblem depicted on the shield represents the Comanche Nation, of which Marcus was a member. The meaning behind the colorful shield is this, although this young man has begun his journey along the spirit path, his vision, ideas, spirit and plans are still alive. Oyate kin (the people) are keeping his vision alive, such as the people who are involved with the American Indian Disability Summit; they are helping to continue this vision. I believe this is the greatest honor to my young brother." 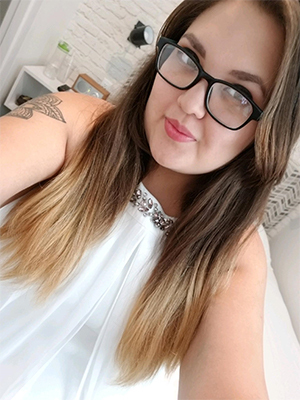 Anya Corzo emerged onto the Arizona disability scene in 2014, when she was elected by her peers to serve on the Leadership Team for Arizona Youth Leadership Forum (AZYLF), from which she is a distinguished graduate. Anya has continued to mature in the movement by serving as a staff member, the first ever Alumni Team Leader, Secretary, Treasurer, and Chair of the AZYLF Alumni Association. She is also a graduate of the Arizona Youth Engagement Academy (AZYEA), an intensive training experience designed to build capacity in youth who have disabilities to assume leadership roles, and provide peer to peer mentoring, training, and support. She was the Youth Engagement Coordinator for the Diverse Ability Incorporated Emerging Me; Middle School Matters project, where she coordinated disability related, youth peer to peer training, throughout the state of Arizona. Anya is an experienced self-advocate, and is often sought after to present at conferences, lead workshops and training sessions, and serves as the voice of youth who have disabilities on several committees, workgroups, and boards, including serving as Secretary of the Arizona Community of Practice on Transition Statewide Core Team. Anya is a national presenter, having spoken at the Association of Programs for Rural Independent Living and SILC Congress conferences. Anya is the 2017 national Advocates in Disability Award recipient, has provided Take Charge workshops on the Navajo Nation, and in 2018 implemented Project Dignity: Reducing Stigma and Fostering Disability Pride among the Hopi People, on Hopi Lands, through Diverse Ability Incorporated. Anya is an enrolled member of the Laguna Pueblo, and is equally proud of her Hopi, Lakota, and Seneca heritage. As a mommy to adorable Judah and Marceline, connecting to and embracing her ancestry, and passing along those lessons, is extremely important to Anya. I have worked closely with Anya throughout the years, mentoring, and supporting her personal advocacy journey, and am well aware of, and impressed by her commitment to both the disability community, and to the culture of indigenous peoples. I wholeheartedly believe that Anya Corzo is most deserving of the Marcus Harrison, Jr. Leadership Award.